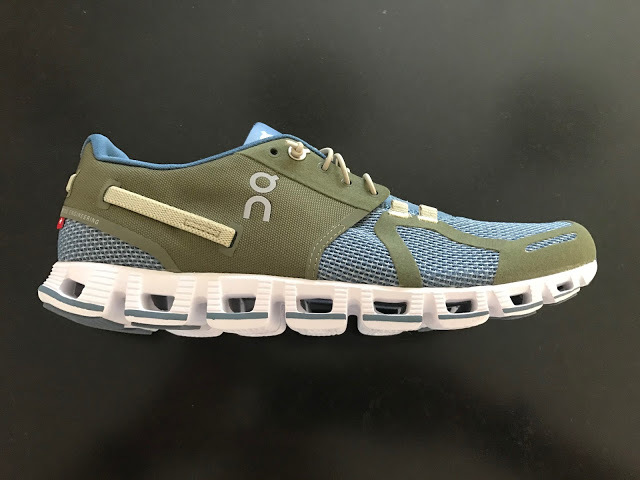 The ON Running Cloudrush ($130) is a 7.9 oz/224 g uptempo trainer/racer with stack heights of 21mm in the heel and 16mm in the forefoot, 5mm drop. 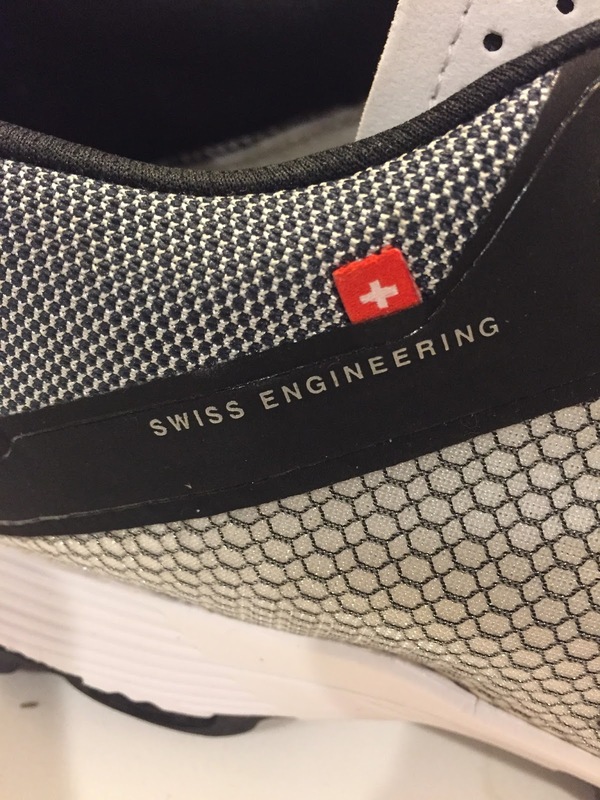 It follows the ON formula of terrific looking Swiss design and a unique outsole consisting of 18 hollowed out CloudTec pods that are meant to provide a unique ride. So, how does it do on the roads? Is it a light, fluffy ride on clouds or is stormy weather coming in? The upper is where ON really excels. The cloudrush is a thing of beauty. The upper is made of a lightweight mesh with a few strips of exoskeleton that aid in keeping the foot in place. There's a fairly substantial toe bumper as well. 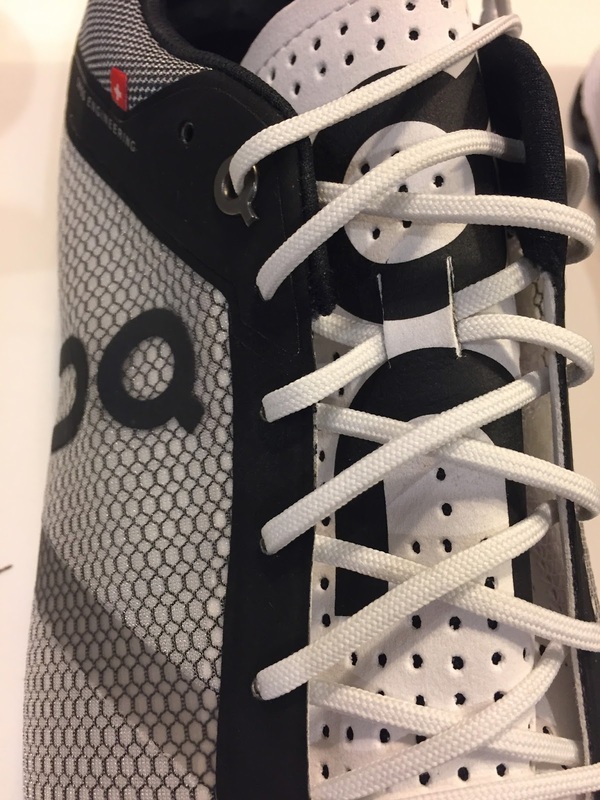 The tongue is light and perforated and stays in place nicely. 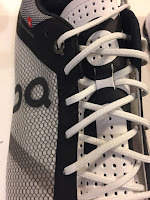 The laces are thin, rounded and pull nicely through the eyelets to secure the shoe. 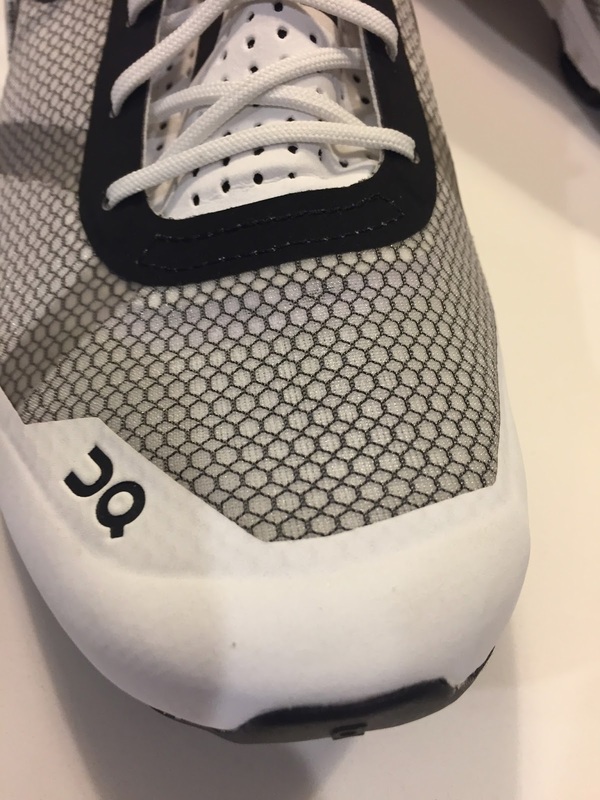 ON manages to get the logo on the shoe at least 5 times without seeming to be overdoing it. As I said, they look great--there's tremendous attention to detail. The heel collar is just the right amount of padding and holds the foot well. They seem to run a hair long, but I had no slippage in my normal running shoe size. 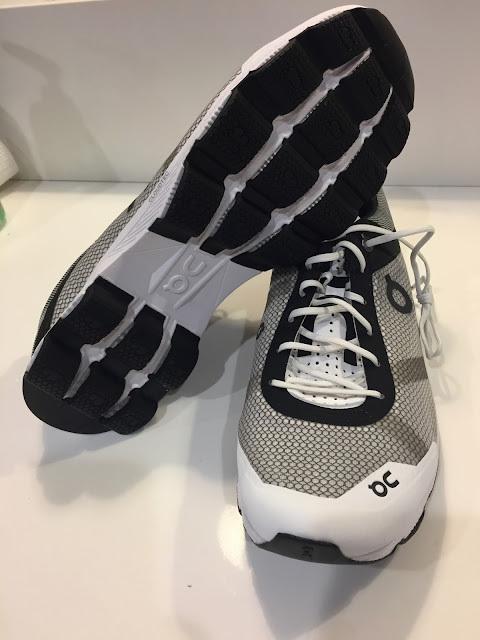 The upper is well ventilated and feels very solidly built. More importantly it feels great to step into and holds the foot very well. 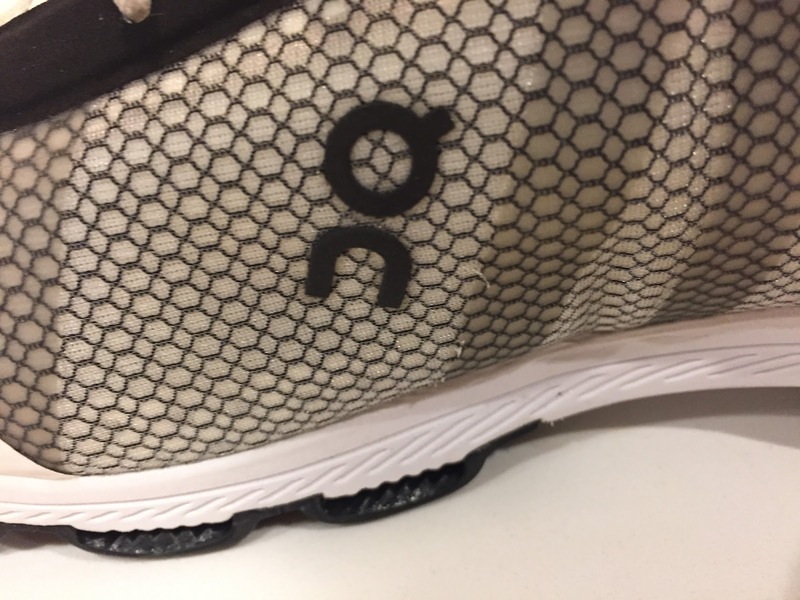 The midsole and outsole of the Cloudrush consist of aPebax (thermoplastic) "Speedboard"--essentially a plastic plate running the length of the shoe, then a layer of EVA--with below at total of 18 "CloudTec elements" which are essentially hollow pods that compress as the shoe contacts the ground and then release as the shoe lifts off the ground. There is a gap in pods under the arch which keep the outsole from being full-contact with the ground. While ON's marketing might lead you to believe that these pods make for a super-soft "cloudlike" landing and take off, they're actually quite firm. 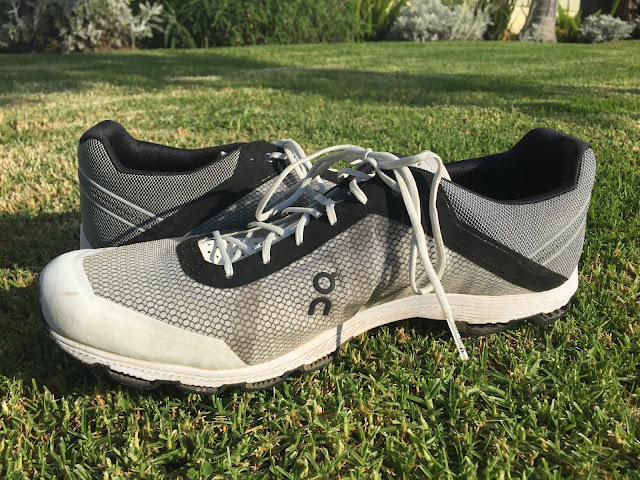 The shoe flexes just fine, it's just not as soft as you might expect likely due to the low profile CloudTec elements- less profile means less deflection and cushion effect. Editor's Note:The CloudTec pods are of a lower profile than other ON shoe such as the lighter 7.4 oz. 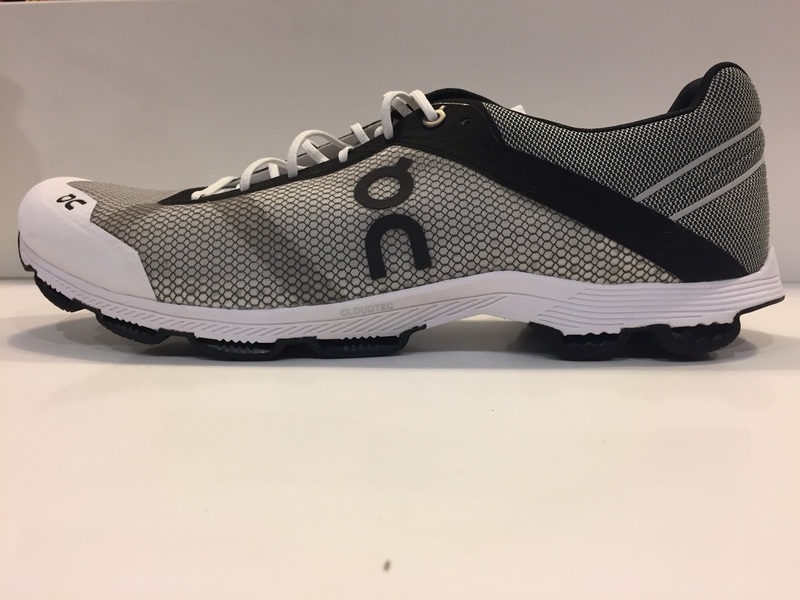 The Cloud and slightly heavier more cushioned Cloudflow, thus likely contributing to the firm ride Peter experienced. In contrast to the Cloud (RTR review) and Cloudflow (review here) they are attached to the midsole instead of being part of the midsole. 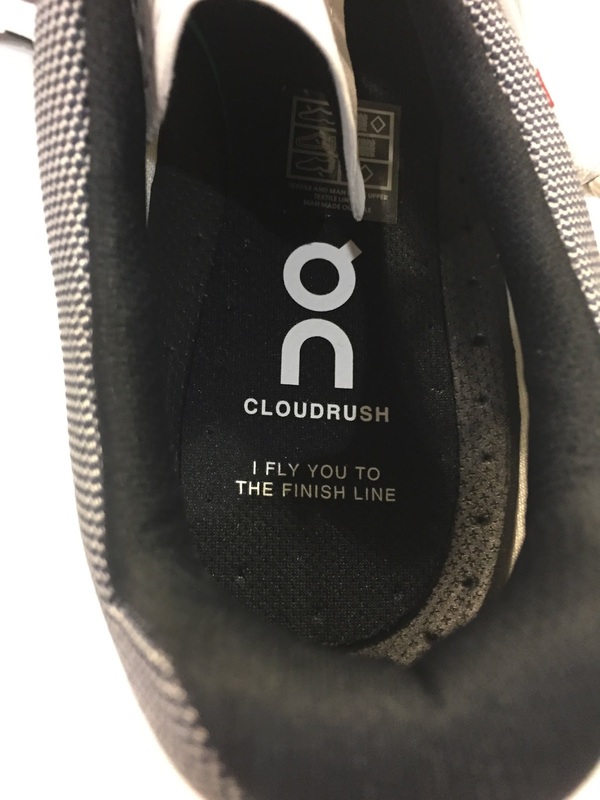 The CloudTec pods of the CloudFlow and Cloud are clearly higher profile than CloudRush and unlike Rush integral to the midsole. 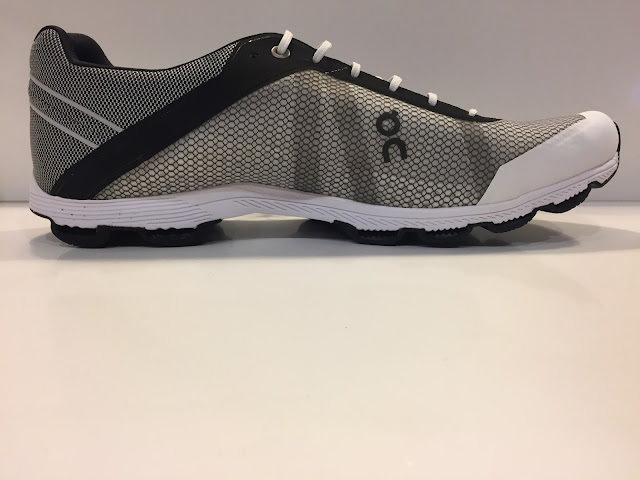 ON describes the Cloudrush as a slightly softer heel cushion successor to the On Racer in the video here. 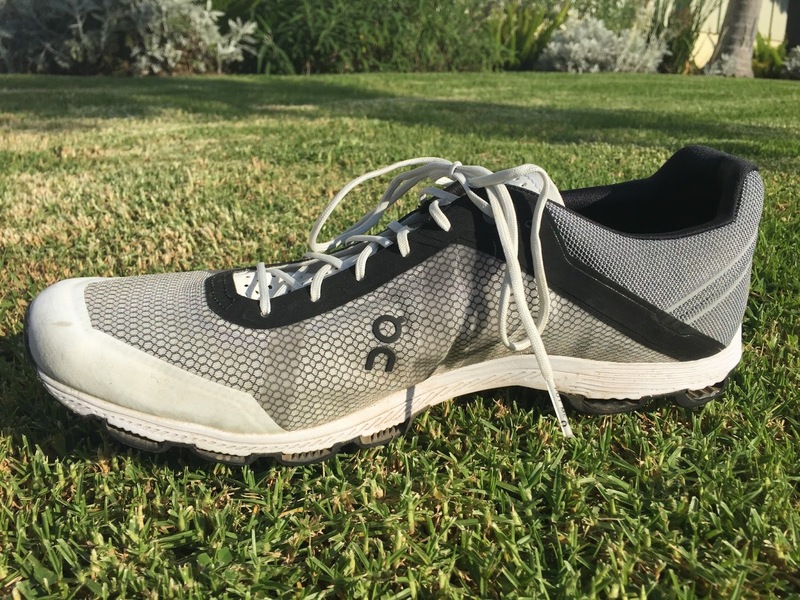 The Cloudrush is ultimately a very firm shoe with a ride that doesn't thrill me. It's firm without feeling particularly fast and I don't really get the POP off the ground that you might hope for with the pods. It's fairly pleasant to run in, but not terribly exciting. 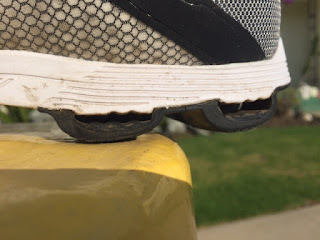 Due to the firmness of the ride and the relatively stiff plate, I wind up feeling pretty beat up after running in the cloudrush--sort of a general foot fatigue. I really wanted to love the Cloudrush. They look great, the attention to detail is terrific and the promise of a soft but snappy ride is enticing. Unfortunately they fall into a weird middle ground for me where they're too minimal to go out and run easy in, but not fun or fast enough to want to take out for tempo runs. 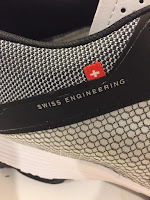 Ultimately I'd recommend trying them for yourself to see if they're a good fit for you, and perhaps there are other ON models that might suit me better. Man, I wish the Razor looked like the On Cloudrush or the On Cloudrush ran like the Razor. The Razor has a near perfect mix of firmness and cushion. If you want to look cool and Euro, wear the ON, if you want to feel fast and light, wear the Razor. 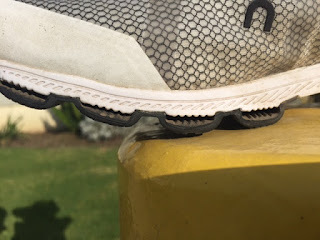 The Nike is flexible and pops off the ground in a way the ON promises but doesn't deliver. I find the ZE 9 is great at any speed, where the ON is kind of okay at all speeds. I feel similarly beat up in both of these shoes. 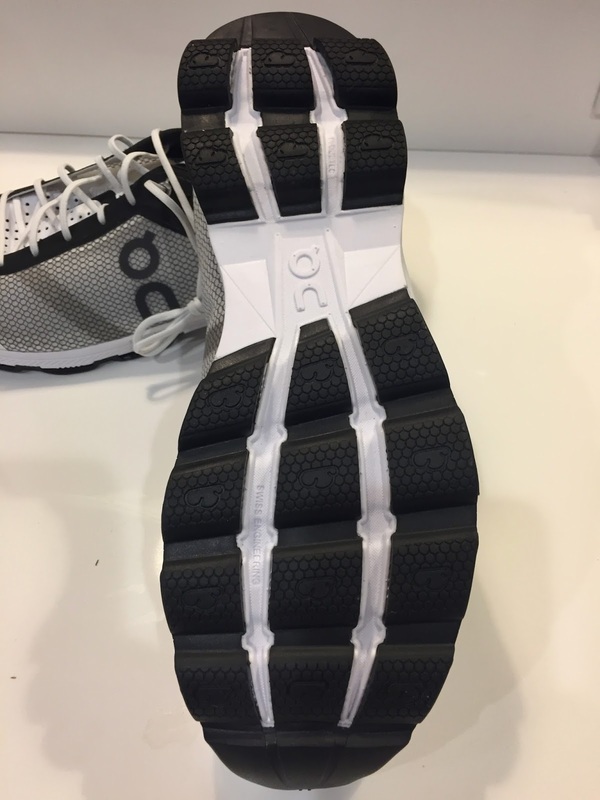 The Zoom Fly also has a plate that runs down the majority of the shoe, and is similarly stiff. 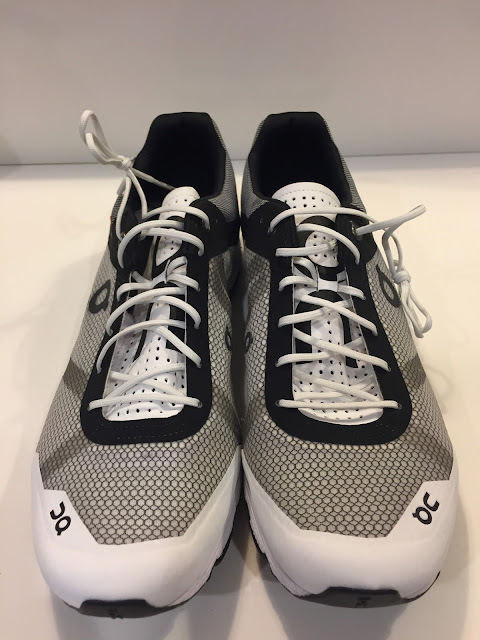 The Zoom Fly, however, really does pop off the road when you get going. 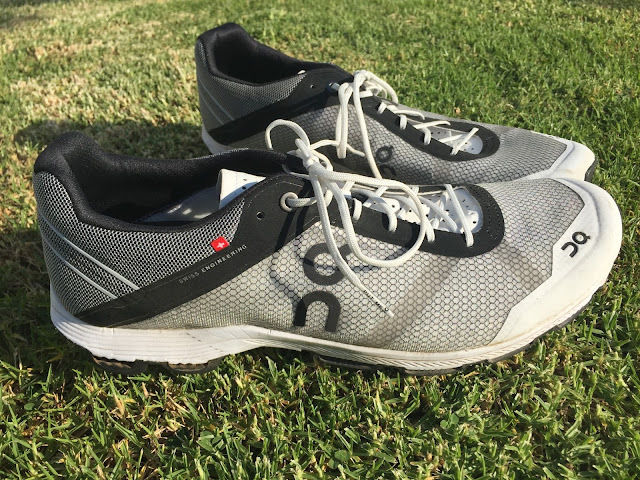 The NB 1400 V5 is, by far, my favorite iteration of the 1400 series. It's a softer, more forgiving ride than the Cloudrush, but has enough firmness to provide some pop. It's the most invisible on the run of all of these shoes. -1 ride feels clunky at speed. The Cloudrush was provided at no cost. The opinions herein are entirely the author's. 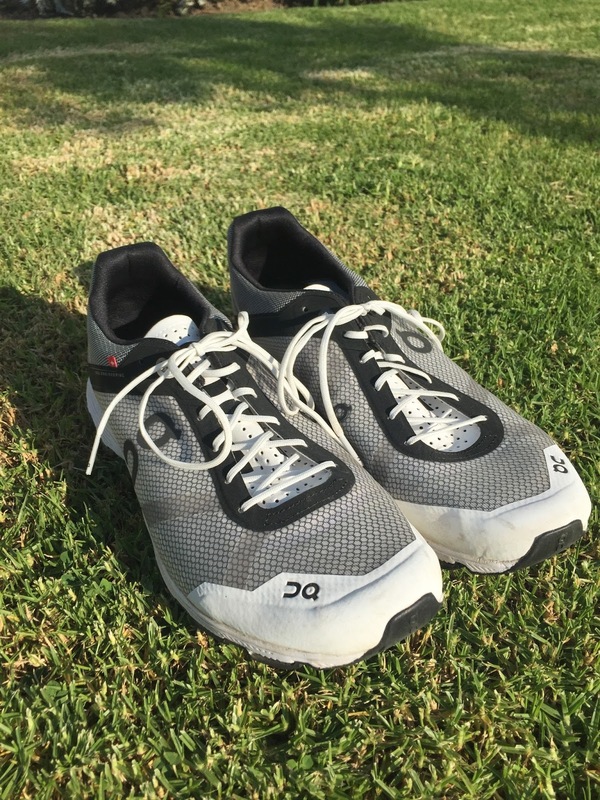 Minzuno Wave Rider 20 Review: In Love Again!